The AgustaWestland Scandal: Is India's Opposition in Trouble? New developments in an old scandal could spell trouble for Sonia Gandhi and the Congress Party in India. Even before campaigning began for the Indian general election in 2014, the Bharatiya Janata Party (BJP), which went on to win that election, had made allegations that the main opposition Congress Party was mired in corruption and kickback scams. And yet, until recently, the Congress Party has avoided getting entangled in India’s most visible scandals; its fall from national and regional prominence has been driven more by its reputation for mismanagement and stale ideas. However, an old scandal, so-called Choppergate, has reemerged with great force. 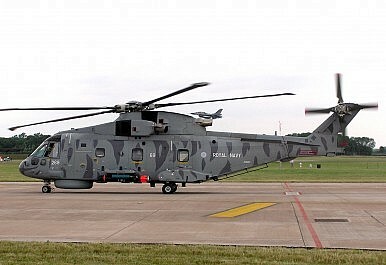 The scandal involved the sale of 12 AW101 helicopters from AgustaWestland, an Italian company run by Finmeccanica, in February 2010 to the Indian Air Force, in a deal arranged by the then-Congress-led government. The helicopters were supposed to carry the president, prime minister, and other important Indian dignitaries. The deal was estimated to be worth $542 million. By 2013, three of the helicopters were delivered to India, but then the Indian government put the project on hold because the CEO of Finmeccania, Giuseppe Orsi, was arrested for paying bribes to Indian officials to secure the deal. It did not help the ensuing scandal that the Congress Party’s president, Sonia Gandhi, was born and raised in Italy. Later on, in 2014, the government scrapped the contract, and obtained a refund; the remaining nine helicopters were never delivered. Initially, investigations did not unearth any wrongdoing in both Italy and India. A lower court in Italty acquitted Orsi of international corruption, while an Indian investigation did not get far. The current BJP defense minister, Manohar Parrikar, alleged that this is is because an “invisible hand” prevented a proper investigation in India. Interest in the case was revived in April 2016, when the Milan Court of Appeals overturned the previous acquittal and sentenced Orsi to four and half years in jail for corruption and false accounting in the chopper deal with India. Additionally, the former CEO of AgustaWestland, Bruno Spagnolini, was given a four year sentence. What remains to be determined is if senior Congress Party figures, especially Sonia Gandhi, were directly involved in the scandal or were recipients of bribes themselves. At the very least, there is a strong reason to believe that Gandhi helped facilitate the deal. A note submitted to the Milan Court of Appeals named Sonia Gandhi as well as senior Congressmen Ahmed Patel and Oscar Fernandes among the individuals who were targeted to facilitate the deal in favor of AgustaWestland. Gandhi was also described as a “driving force” behind the deal by the court. Presently, the government of Indian Prime Minister Narendra Modi is seeking to investigate if anyone in the Congress Party was actually the recipient of bribes. The Indian Supreme Court has also agreed to hear a public interest litigation against Gandhi. Gandhi, for her part, has remained defiant, denying wrongdoing, and saying that the BJP is “most welcome” to investigate. Parrikar, speaking in Parliament on Wednesday, merely stated that an investigation would focus on the names revealed by the Italian court. A series of scandals have hit India's BJP government and the prime minister continues to remain silent.